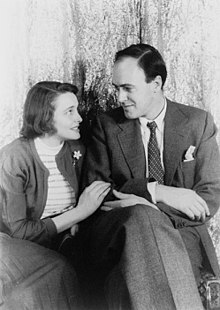 Roald Dahl (13 September 1916 – 23 November 1990) was a British novelist and short story author of Norwegian descent, famous as a writer for both children and adults. His writing career began in 1942 when he compiled his experiences in World War II and had them published in the Post. 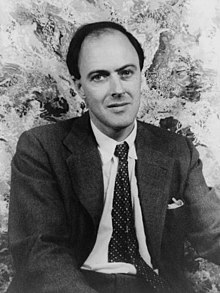 In 2008 The Times placed Dahl 16th on its list of "The 50 greatest British writers since 1945". His short stories are known for their unexpected endings, and his children's books for their unsentimental, often very dark humour. Two of his most famous works are James and the Giant Peach and Charlie and the Chocolate Factory. A person is a fool to become a writer. His only compensation is absolute freedom. He has no master except his own soul and that, I am sure, is why he does it. There is a trait in the Jewish character that does provoke animosity; maybe it's a kind of lack of generosity towards non-Jews. I mean there is always a reason why anti-anything crops up anywhere; even a stinker like Hitler didn't just pick on them for no reason. It was all this, I think, that made me begin to have doubts about religion and even about God. If this person, I kept telling myself, was one of God’s chosen salesmen on earth, then there must be something very wrong about the whole business. Ch. 15, "The Chocolate Room"
"It is very difficult to phone people in China, Mr. President," said the Postmaster General, "The country is so full of Wings and Wongs, every time you wing you get the wong number." Not original to this work, the proverb dates from at least the 18th century. A Message to Children Who Have Read This Book - When you grow up and have children of your own, do please remember something important: a stodgy parent is no fun at all. What a child wants and deserves is a parent who is SPARKY. "Dreams is very mystical things," the BFG said. "Human beans is not understanding them at all. Not even their brainiest professors is understanding them." "Ah, but they is not killing their own kind," the BFG said. "Human beans is the only animals that is killing their own kind." It doesn't matter who you are or what you look like so long as somebody loves you. "The Heart of a Mouse"
Little Billy’s mother was always telling him exactly what he was allowed to do and what he was not allowed to do. All the things he was allowed to do were boring. All the things he was not allowed to do were exciting. One of the things he NEVER NEVER was allowed to do, the most exciting of them all, was to go out through the garden gate all by himself and explore the world beyond.